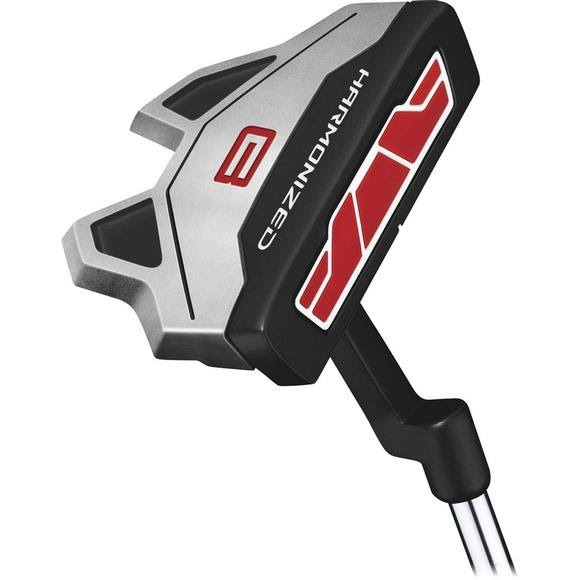 The Wilson Harmonized Counterbalanced Putter features a mallet head design and a plumber hosel, as well as an oversized Harmonized grip for maintaining control throughout the putting stroke. The Counterbalanced putter features a counter weight under its larger grip for higher center of gravity and more control throughout the putting stroke. The midsize Harmonized putter grip features a vertical seam on the back side to improve feel throughout the stroke. Horizontal lines on the putter head visually support alignment for a more accurate setup. The microinjection polymer face insert improves feel upon contact with the golf ball.